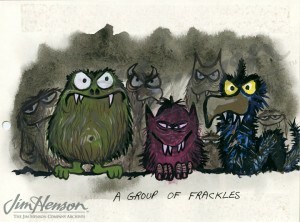 It seems like all Christmas specials are produced in the least Christmas-y time of year – the dog days of summer. 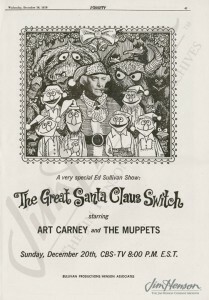 That was certainly the case for Jim’s show, The Great Santa Claus Switch, taped in Toronto in August 1970 after seven years in development. It was a real coup for Jim and his writing partner Jerry Juhl to finally get this show made, especially given that it was produced by none other than Ed Sullivan and aired in December in his highly visible Sunday evening time slot. 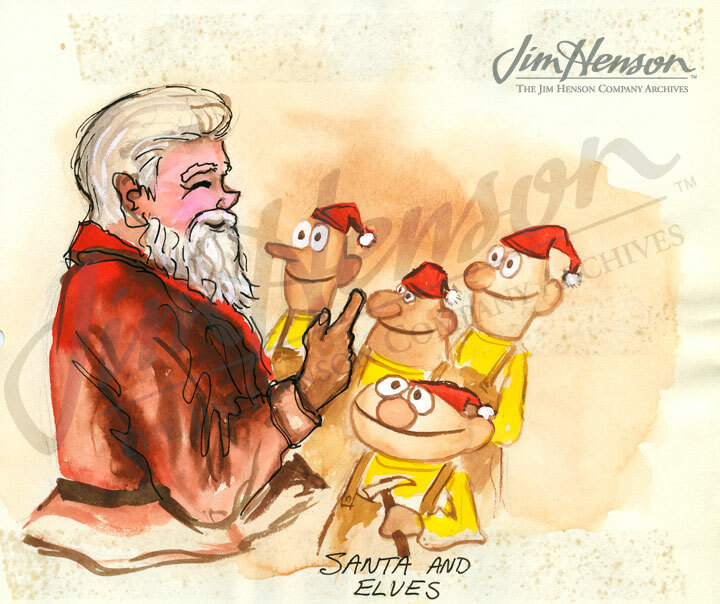 With an expanded puppeteer roster and workshop, The Great Santa Claus Switch was a testament to Jim’s growing production capabilities and, perhaps more importantly, his growing national audience. Learn about The Great Santa Claus Switch and see a gallery of character designs. Jim’s Frackle illustration for The Great Santa Claus Switch pitch, late 1960s. 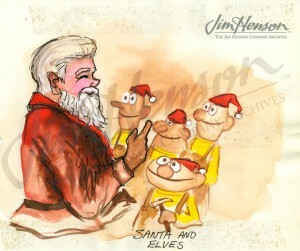 Jim’s Santa and elves illustration for The Great Santa Claus Switch pitch, late 1960s. Advertisement from Variety for The Great Santa Claus Switch, 1970. 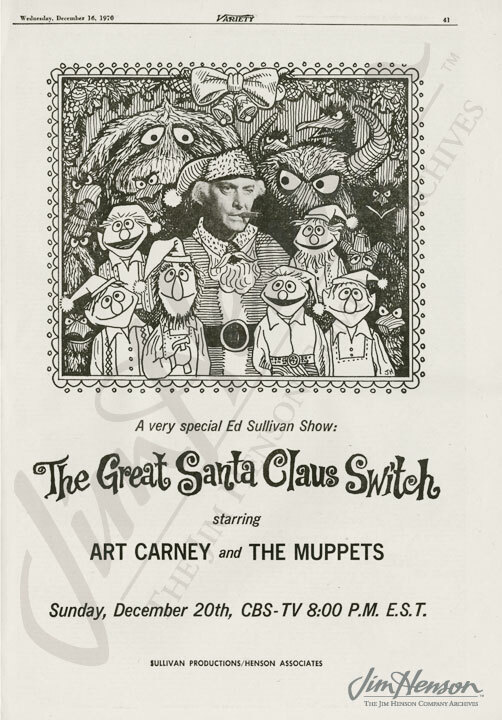 This entry was posted in 08-August '70, 1970, Great Santa Claus Switch and tagged Ed Sullivan, Jerry Juhl, Toronto. Bookmark the permalink.